Sidenote: the version here is compressed a little bit. If you'd like the lossless version, please contact me. OMG.. good wall. I love that episode! Very nice wall! The vector is well done, and the colours for the background were well thought of and arranged nicely. oh my freaking god. this is awesome. hahaha. i have to agree with the above statement. wahahah great wall!~ very pop-art feel. Nice~~~ ^O^ Such a funny one! 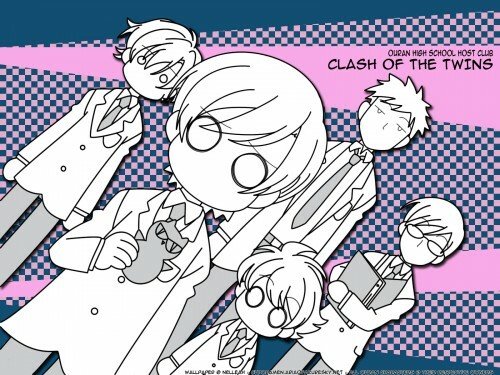 Yeah...the twins have that effect on us....great wallpaper indeed ^^! cute! >_< and...hi-5! i love ouran too. oh mah gawd! i lLLLUUUVVVVVV IT! Loved the faces! Hahahahah! Thanks so much!